Thirteen courageous families engage in their own unique battle of the bulge when an all-new fifth season of the Gemini award-winning documentary series X-Weighted returns to Slice™ with a second installment of X-Weighted: Families. The one-hour 13-part series, which was filmed in Calgary, Kelowna and Vancouver, premieres Thursday, October 14 at 8pm ET. X-Weighted: Families brings dramatic family dynamics and life’s realities to the forefront,shedding light on the truth and consequences of the growing obesity epidemic. It is the parents who become scared straight at the horrifying health of their children and soon realize that this may be their last chance to finally conquer their daily struggle with overeating and life threatening nutrition choices. • An overweight teen who is driven to thoughts of suicide because of relentless bullying. • A young girl who suffers from severe anxiety self medicates with food causing her weight to spiral out of control. • A shocking addiction to junk food has one family spending nearly $1000 a month at the convenience store alone. • After the death of her father, a 16 year-old girl turns to food to cope with her grief…butonly becomes more depressed as her weight climbs to new heights. • Routine blood work reveals frighteningly high cholesterol…in a 14 year old. X-Weighted: Families’ fitness expert and one of Canada’s most recognized personal trainers,Paul Plakas returns again this season with his trademark no-nonsense and cut-through-the-BS observations. He takes each family through the appalling Cupboard Purge where they say goodbye to a milieu of comfort foods and sugar-laden treats. Dr. David Macklin, one of Canada’s leading physicians in the field of Lifestyle Medicine, shares his medical expertise with the families, dispensing advice on appropriate weight loss goals, healthy nutritional choices and at times dispensing stern warnings as a result of ghastly blood tests that reveal a host of obesity related ailments including high cholesterol, high uric acid levels and type 2 diabetes. More frightening than the results themselves is the fact that these symptoms, commonly thought of as “adult” issues, are often surfacing in the children. The award-winning documentary series X-Weighted, as seen on SLICE™, is challenging Canadians to get up off the couch, step away from the junk food, and log on to XWEIGHTED.COM to sign up for THE XWEIGHTED.COM NATIONAL CHALLENGE – a six-month fitness and health challenge designed to facilitate a permanent lifestyle change and a healthy weight transformation for Canadian couch potatoes. XWEIGHTED.COM NATIONAL CHALLENGE participants will be eligible to win one of three grand prizes: A weekend getaway and customized training session with fitness expert Paul Plakas at his Canmore Retreat; a Toronto makeover weekend by stylist Fred Connors, courtesy of FRED.beauty, Tourism Toronto and The Fairmont Royal York, Toronto’s landmark hotel; and a fabulous home gym provided by Ultimate Sports Equipment. Additional prizes include Detecto scales, New Balance gift certificates, Nature’s Path gift baskets and more. You can find updated information about prizes and register at XWEIGHTED.COM. Anyone interested in participating must register no later than January 9, 2010 to create their own personal profile and qualify to be eligible for the prizes. On entering their information into XWEIGHTED.COM they will be provided with a realistic, healthy, six-month weight-loss goal. Participants interested in a personal point of contact are invited to show up at participating fitness centres in Vancouver, Kelowna, Calgary, Edmonton, Toronto, Halifax, and Saint John on Saturday January 9 to enjoy a free fitness assessment and meet with memorable X-Weighted experts and past participants from the show. At these locations, participants will be weighed, measured and complete a fitness test that will be timed and recorded by local volunteers. The first 50 participants at each location will receive a special gift bag. XWEIGHTED.COM acts as an online community centre, providing users with a detailed 26-week guide containing an abundance of fitness expertise, diet resources, challenging questions, useful tips and expert video demonstrations to facilitate a healthy, active lifestyle. The website also provides a social support network allowing participants to upload video and photos, start and join groups, post recipes, join the Facebook and Twitter feed and more. XWEIGHTED.COM enables users to share their personal struggles and successes with each other, and keeps participants connected and inspired on their journey from “before” to “after”. One of Canada’s most acclaimed personal trainers, Paul Plakas, will be on location in Saint John, NB on January 9. The XWEIGHTED.COM crew will be filming exclusive web footage at the location. Other X-Weighted experts appearing in select cities include: Dr. David Macklin, a leading physician in the field of Lifestyle Medicine in Toronto, and Fred Connors, self-esteem expert and proprietor of FRED.beauty in Halifax. On July 10, XWEIGHTED.COM NATIONAL CHALLENGE participants are invited to return to the same fitness centre they visited at the start of the challenge to once again be weighed-in, measured, repeat the fitness test and celebrate their success. X-Weighted: Families airs Thursdays at 8pm ET/ 5pm PT and Sundays at 8pm ET/PT on SLICE™. 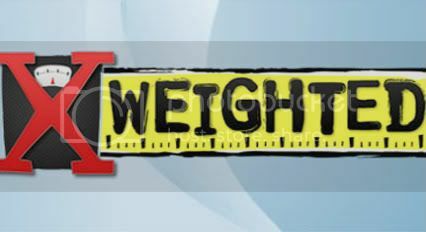 Slice Network’s popular series, X-Weighted is coming back for a 4th season. This time, instead of helping individuals shed their excess pounds, the Gemini award winning show will be helping families live healthier, more active lives. The new season of the series, will be filming each of the families heartbreaking stories and their struggle to lose weight with help of fitness expert and personal trainer, Paul Plakas until May 2009 in preparation for season 4. Thirteen families have begun their battle against the bulge in Calgary, Edmonton and Vancouver as the fourth season of the hit Slice documentary series X-Weighted gets underway. Production began in December on X-Weighted: Families and cameras roll through to early May, capturing the toil and temptations as family members work together — and sometimes against each other — on their weight-loss journey. Each hour of this 13-part series will focus on a different family, chronicling their gut-wrenching failures and inspiring successes on the long and often frustrating road to a healthier lifestyle. The families were chosen after an exhaustive search in Calgary, Edmonton and Greater Vancouver. They face vastly different health and lifestyle issues, but all share a common goal to get fit together as a family unit. •	lives in (or within close proximity to) Vancouver, Calgary, or Edmonton. We want to tell your story. Submit your application to X-Weighted as soon as possible. More information about casting for upcoming seasons of X-Weighted is available here. Stay tuned for more news about when X-Weighted season 4 for families is set to air on Canada’s Slice Network.